This story begins in a small town named Flint where a terrible murder of a child has taken place. The two police detectives on the case feel like they have all the envidence they need to make an arrest - finger prints, eye witnesses and DNA evidence, so they decide not to pre-interview their suspect in case it tips him off and he runs. There are a few problems though. For one - the suspect is a well liked, well respected member of this small community. And two - the suspect has a solid alibi of his own. The police detectives aren't buyin his alibi and are set to take the suspect to court. As the evidence expands, it is looking more and more like the detective's suspsect could never had committee this crime. He would have been in two places at once. More tragedy strikes affecting many of the families involved, and the suspects lawyer decides to hire a private detective to find out the truth once and for all. But the truth is hard for anyone to believe and it will take a lot to convince the police detectives they have the wrong man. This was a pretty good book. 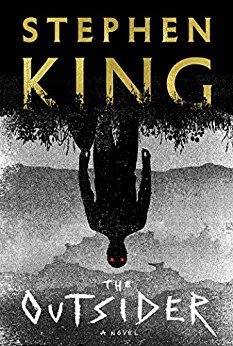 I am a huge Stephen King fan, and this book didn't disappoint. I liked that more than half of the book was more mystery than horror, and that kept the plot line moving. The ending wasn't - great - felt like it was a bit "out there". But that is typical of King. He doesn't always wrap his stories up well. This one ended in a bit of a mystery that I couldn't quite decide what to do with. IF any of you read the Hodges Trilogy King wrote, then you won't be disappointed to see that a character from those stories is in this book. If you are a King fan - check this one out. You won't be disappointed.